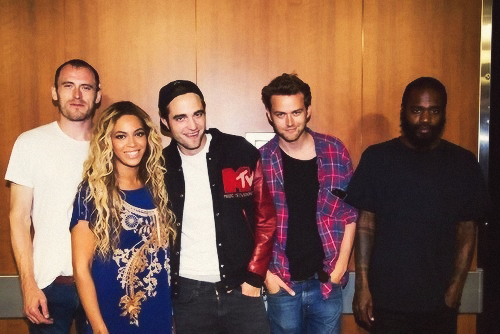 Rob with Beyonce and his دوستوں. . Wallpaper and background images in the Robert Pattinson club tagged: robert pattinson twitpic beyonce friends out and about 2013.